It turned out to be his last sermon at Trinity Bible Presbyterian Church. 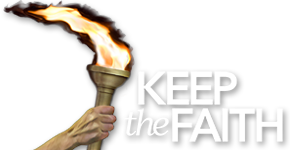 He wrote on his Facebook page that the other church elder felt he could no longer follow Hoke’s leadership and that all but one couple in the church would quit if he remained in the pulpit. Hoke chose to leave. Dr. Richard Land of Southern Baptist Seminary says it’s a sick church. “Evidently he took a very strong and uncompromising stance on the issue of gender identity and transgenderism and homosexuality … and discovered that his church had been seduced by the neo-pagan culture of California,” Land tells OneNewsNow. 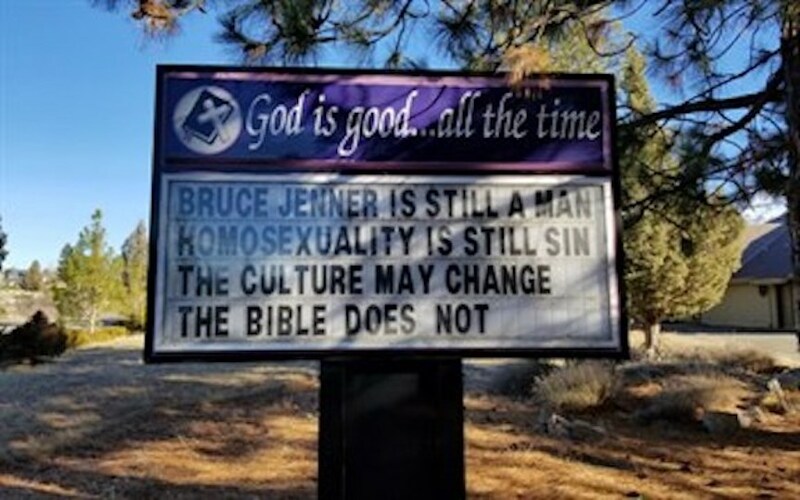 The church sign was destroyed by LGBT activists a couple of days after Hoke delivered his sermon, according to a report by PulpitAndPen.org. Hoke’s Facebook page includes photos of the vandalized church sign. The True Bible, the true Love story will never be accepted . Let alone followed when homosexually is tolerated and Gods Word is not. We threw Him and His Word out of the schools and opened the doors to sin in 1960’s. It’s time to take the rainbow back! Honk! Honk!